Inspire her to greatness with this unique necklace! 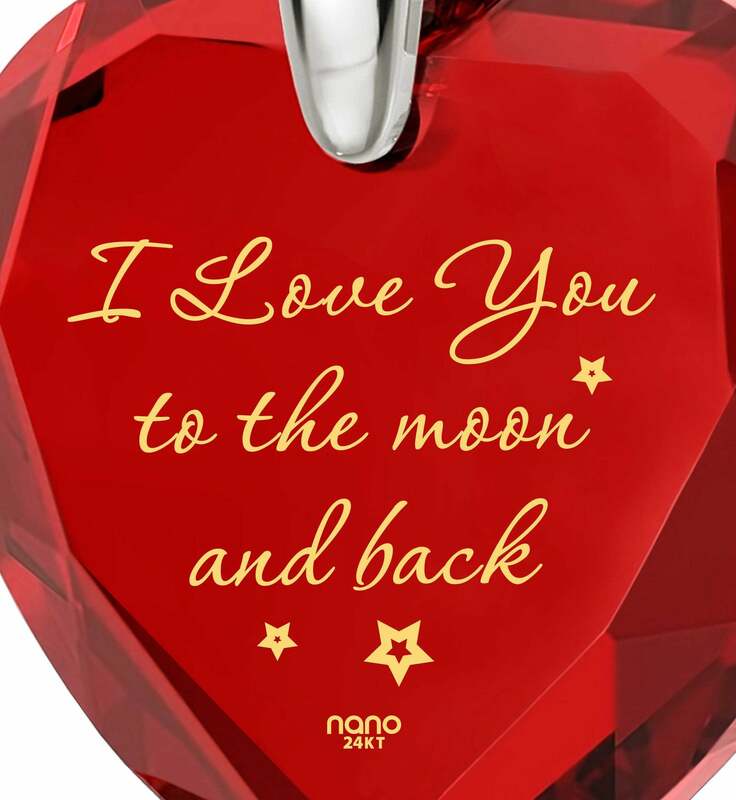 Being able to draw strength and inspiration from your companion and experience with them all of life’s pleasures and burdens is irreplaceable. 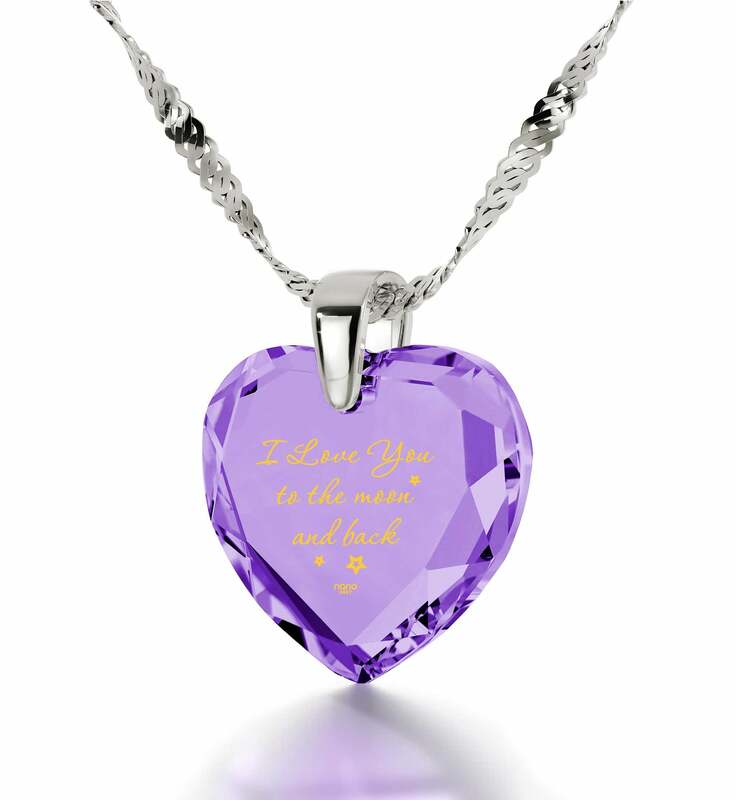 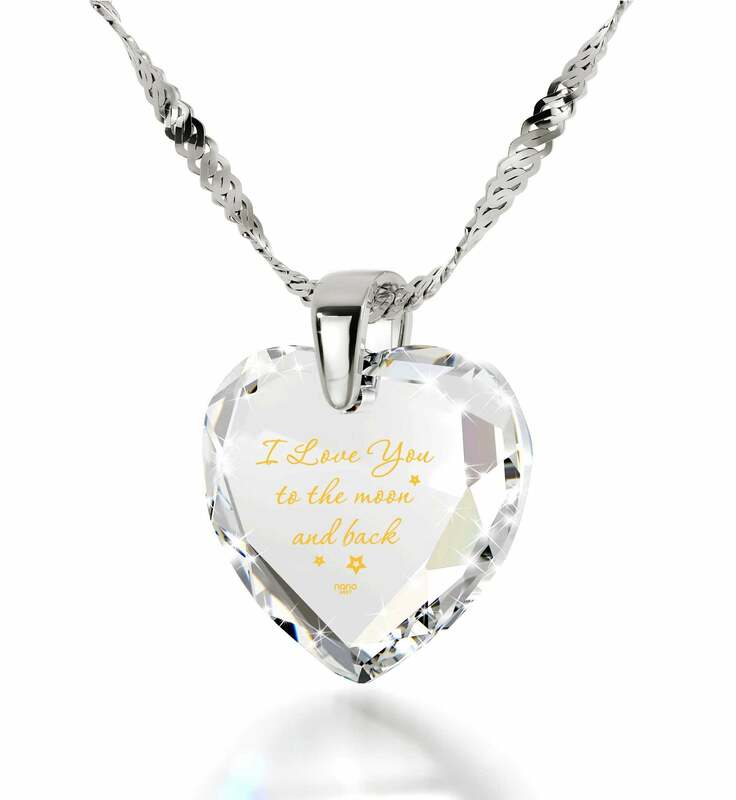 With each passing day the bond you’ve forged becomes stronger, and if you’d like the whole world to know, why not surprise her with an inspirational gift for her birthday that she’ll love to wear close to her heart? 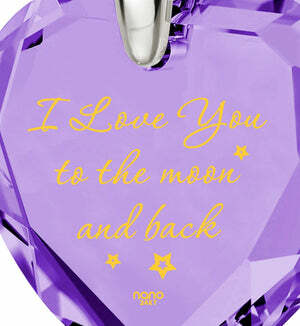 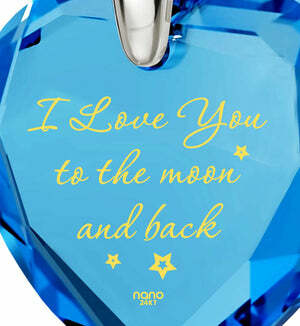 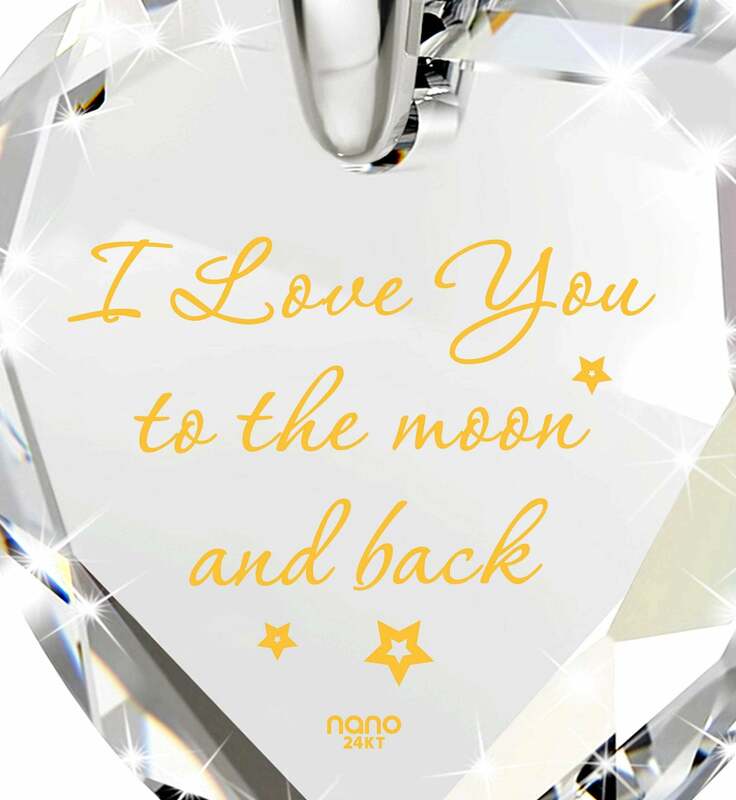 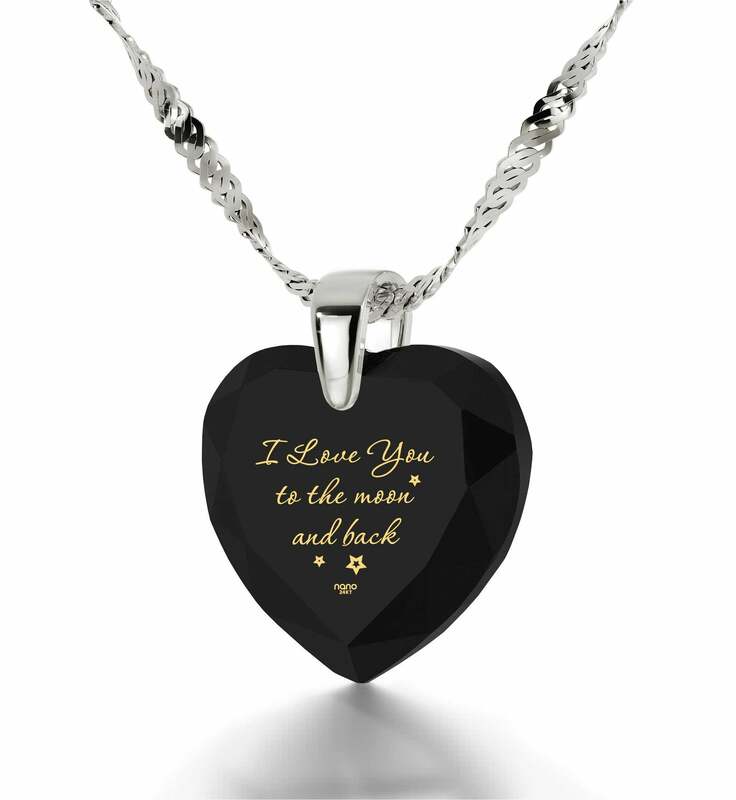 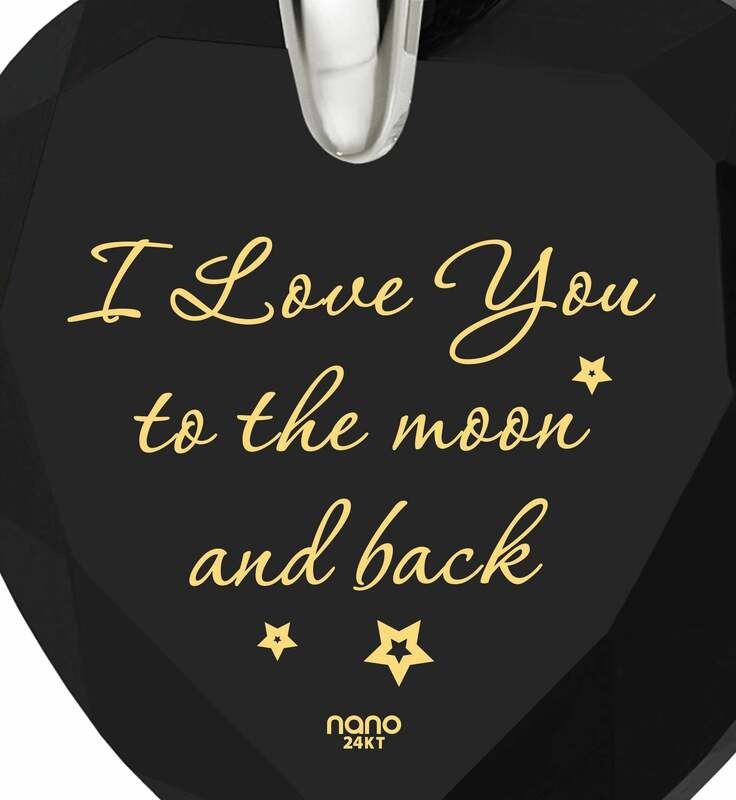 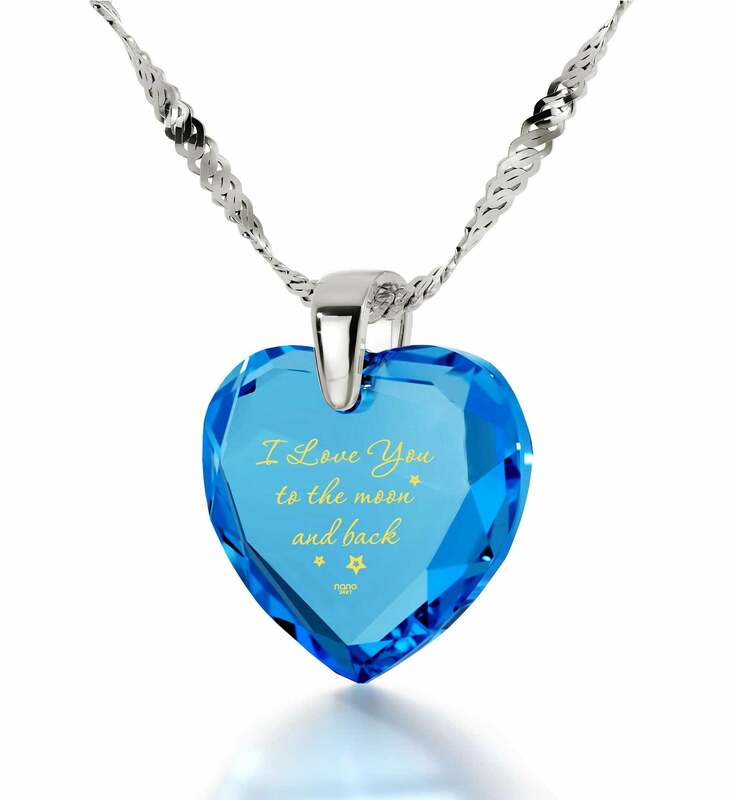 This lovely piece of I love you to the Moon and back jewelry is the kind of present that will accomplish just that in an amazing way. 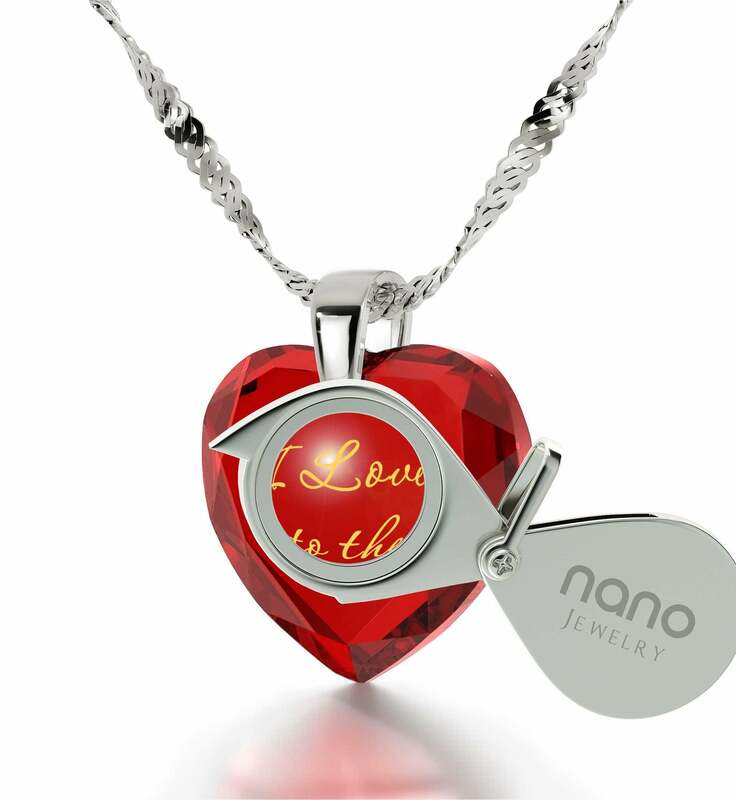 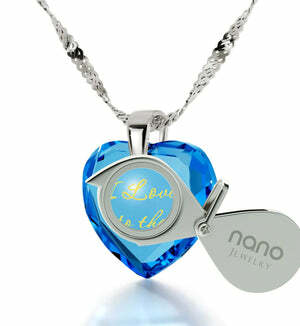 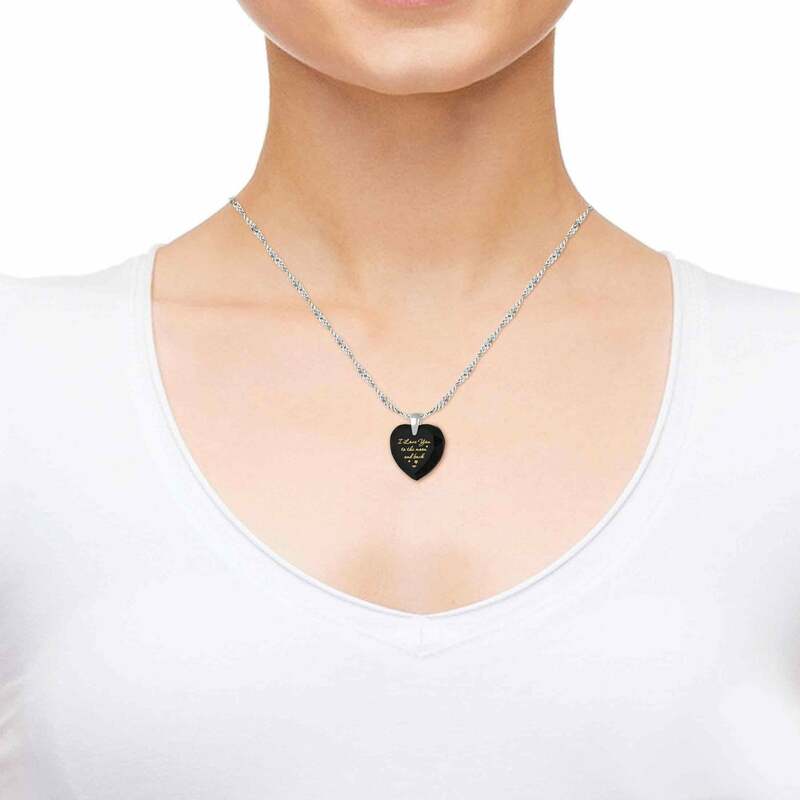 A love necklace for her like none other, this romantic gift idea for her is the perfect blend of art and innovation and is sure to be proudly displayed on any occasion. Its white gold chain and luminous cubic zirconia gemstone will tell her all she needs to know about its quality, but there are yet secrets to uncover! 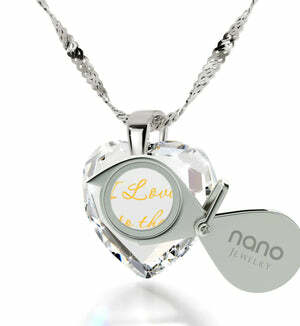 The most intriguing one lies inscribed in words of affection made from pure 24k gold on the heart-shaped gemstone. Thanks to a special process they will never fade away and can not be copied by anyone else since only Nano Jewelry can make such intricate golden designs possible. The inscription says “I love you to the moon and back” in delicate golden script. She’ll have no trouble tracing the elegant thin lines with the help of a custom-made magnifying glass that’s also part of this top gift idea for women. 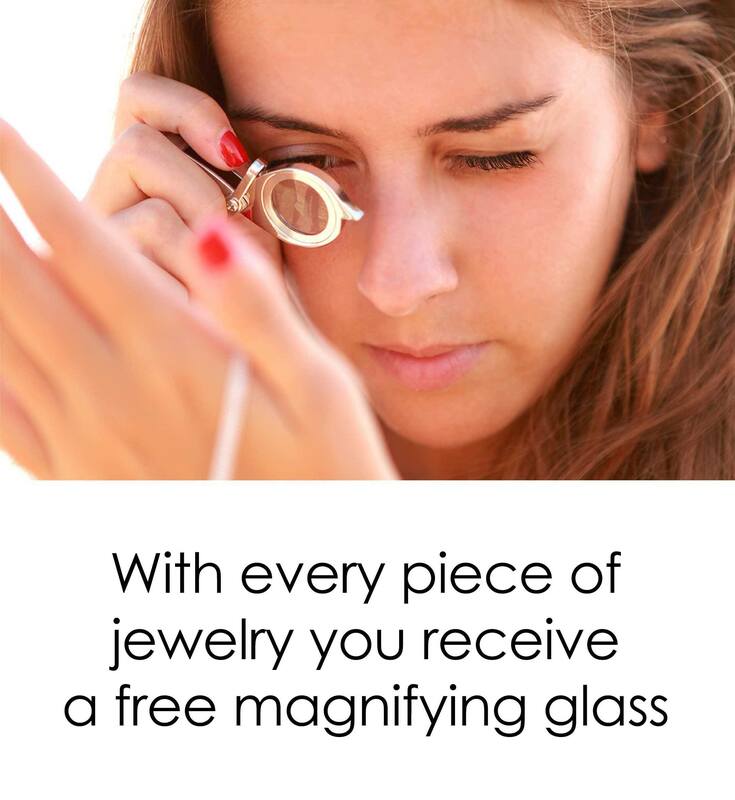 The experience wouldn’t be complete without an exquisite box to put everything in, and this one is bound to impress. 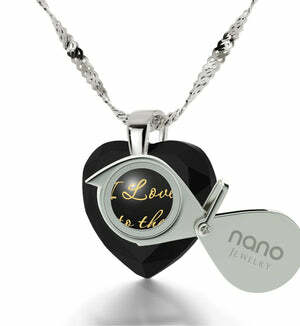 With this irresistible wife birthday idea as the highlight, the occasion is sure to become even more special!